Happy Friday Loves! I am soooo thrilled to introduce my sweet friend Ashley to Virginia Sweet! 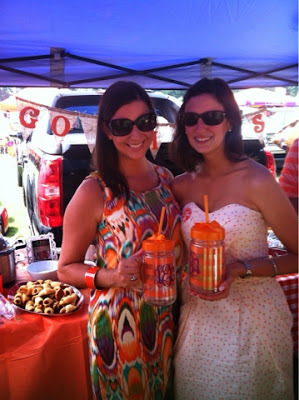 You may remember Ashley as my partner in crime at Clemson tailgates or from her awesome to die for dip! Since she already contributes so much to this blog by her advice, spelling corrections and love - it only seems right to let her in on the action. Ashley will be a returning guest blogger on Virginia Sweet and I know you will love her as much as I do....so without further ado....take it away Ashley! Hey y’all! I am beyond excited that my dear friend, Caroline, has given me the honor of guest blogging with her! 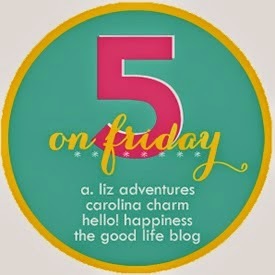 I am so excited that this will be my first Friday linkup with the lovely ladies of Five on Friday! Y’all are probably thinking, “who is this new girl?” So, I guess the proper Southern thing to do is to first introduce myself. I’m a born and raised South Carolinian. You can take the girl out of the South, but you certainly can’t take the South out of this girl! My husband, family and best girlfriends are everything to me. 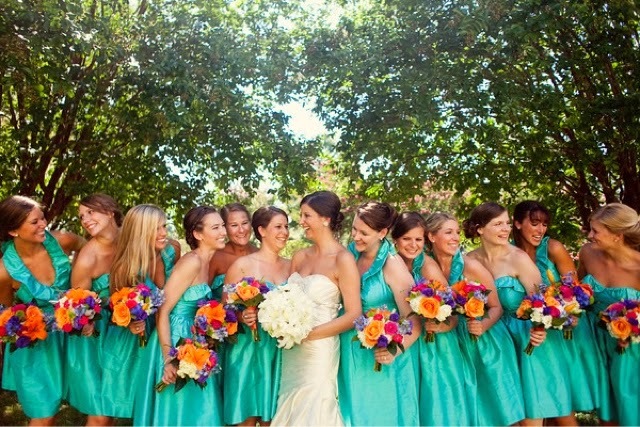 As you can see by our football team size wedding, these girls stand by me day in and day out. Another important thing you need to know about me is that my blood bleeds orange. No, I’m not going to go all Grey’s Anatomy on you, but the color orange is very sacred in my household. I grew up going to Clemson football games with my family every fall, and it only took me one visit to know that Clemson was the school for me. I could talk about my Clemson experience for days, but ain’t nobody got time for that. 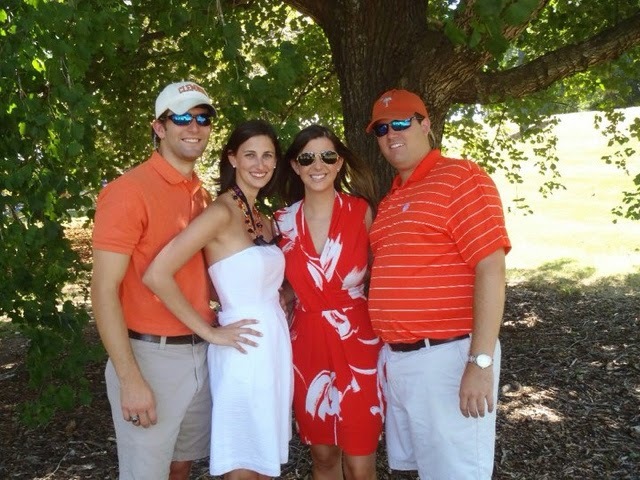 However, the friendships I made at Clemson and football are still a huge part of my life. My husband and I have had football season tickets for the past six years, and over those six years, we’ve been known to throw some fabulous tailgates (the reason why we attend college football, right?!) Oh, and we’re about to start building a house! My husband and I have always rented an apartment or townhome, so this is a big deal for us. Y’all definitely have to stick around to follow us throughout the entire process! (2) Meet the husband, Andrew. 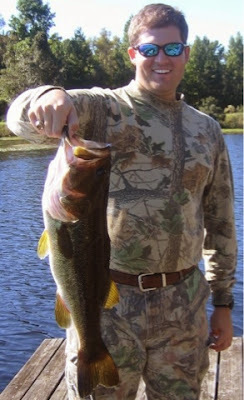 He studied Civil Engineering and is currently a Project Manager for a privately owned General Contractor. Andrew is probably the smartest person I know. Literally. He is so precise OCD and is fabulous at his job. He is even more fabulous at just being him and being my best friend. (3) Our City: Greenville, SC. Andrew and I grew up in the capital of our beautiful state. We have certainly moved around together as well. After high school, we both spent four years (one of us, five..hey, it’s a marathon, not a sprint!) at Clemson University. This is where we really started our relationship, and seven years later...here we are! I ended up following Andrew to Atlanta once I graduated and loved every minute of it. We thought that would be “Our City,” but were we ever wrong. 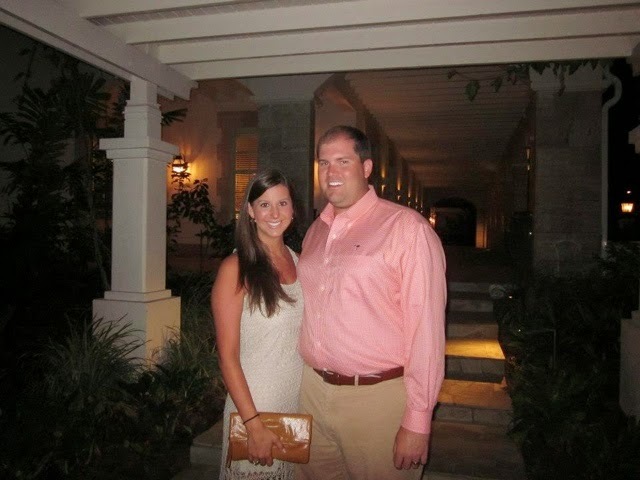 We were newly engaged and Andrew’s company quickly moved him to Greenville, SC. Remind you, I had JUST moved to Atlanta for him. Let me tell you one thing. Planning a wedding that will take place in Columbia, SC while living in Atlanta, GA and your fiancé’ lives in Greenville….isn’t an easy task! Bless my wedding planner’s heart (and my sweet mother). That brings us to Greenville. Our city is very unique in a way that it feels very “city-like” but is actually a small town, with a quickly growing population. Our downtown consists of one street, Main Street. 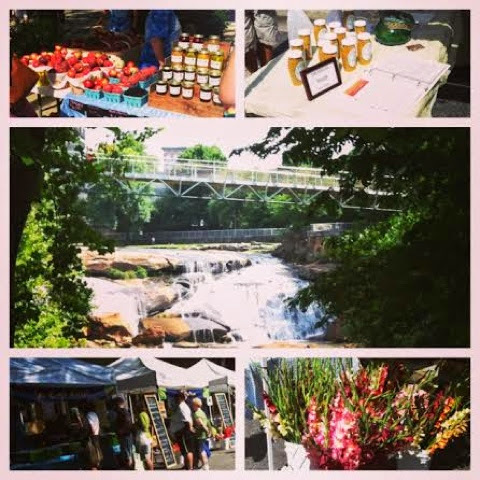 Ranging from over 90 restaurants, 15 boutiques, art galleries, beautiful Falls Park on the Reedy River, and a farmers market, that makes for a busy Saturday on a 1 mile street! We are definitely here to stay and raise our family. Sorry Greenville, but go ahead and add two more to your population charts. Y’all, I am definitely a career wife. Outside of the home, I work 50 plus hours a week. Very doable, but add cooking, cleaning, and babies (no, none of those yet), and pleasing your husband to that….wow, that’s a lot. I’m not here to say that I am super woman and I manage that every week, but I try my best, and that’s all I can do. SO, that brings me to things that I love and things that keep me sane from the things I just listed above. Cooking, beauty, trashy TV, and vacationing all make me one happy girl! If I’m lucky enough, Caroline will keep me around for a while, so maybe I can share some of my favorite recipes and best beauty tricks with y’all! (5) The main reason you are reading this. The Blogger, herself. My sweet, sweet friend Caroline is a lifesaver. She seriously keeps me sane at work. Yes, I realize she lives in VA so we don’t see each other on a daily basis, BUT we chat all the time. Whether it be a “Hi, thinking of you!” or “Holy Sh*t, did you watch Scandal last night,” she is someone that definitely keeps me entertained throughout the day. We both work for the same company (we will get to that in a later post), so we IM….yes, just like good ole’ AOL, Instant Message. My husband and Caroline’s husband have been best buds since middle school, or even earlier. They truly bonded through playing baseball in high school and carried their friendship through Clemson and now to present day. That leads me to the leading lady, herself. Although I’ve known Caroline’s husband longer than I’ve actually known her (remember, we all went to the same high school), she has become one of my closest friends. We have been so fortunate to have met these sweet friends and can’t wait for them to move back to South Carolina….well, maybe one day?! haha... Ashley puts a plug in for us to move back to Carolina's whenever she can but we are just having too much fun in Richmond! Isn't she sweet y'all? Have a wonderful weekend Loves and don't forget to follow us! This was a fun surprise to see this morning! I had forgotten how pretty the bouquets we carried at your wedding were & I cannot wait to read more from both of y'all :) Have a good weekend!